Review: Ecostore Products and Giveaway! I was recently given the opportunity to review products from ecostore USA. 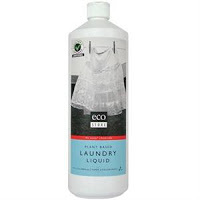 After looking over their website: http://www.ecostoreusa.com/, I chose the liquid laundry detergent and their citrus spray cleaner as my test products. I have had no problems with either one of the products. The liquid laundry soap has worked just as well as my usual brand. It did take some time to get used to the scent…kind of like a Vicks type smell…but I was happy that the scent did NOT carry over into the clothing. I dried the clothes both in the dryer and on the line and found the laundry soap to have done its job! 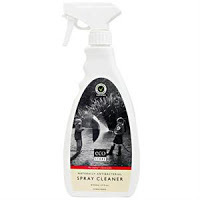 I have used the spray cleaner on my kitchen counters as well as in our bathrooms. I like the scent and find it does an excellent job of cleaning up…especially the leftover toothpaste on the counter and bathroom sink. It doesn’t leave that strong cleaner smell behind but rather a fresh citrus scent. I have been very pleased with my ecostore USA products and would recommend them to anyone, especially those who are concerned about using toxic chemicals in their home and around children. So, if you are one of those people, you are in luck! ecostore USA has offered a $25 gift certificate to one of my readers. All you need to do is check out their website, look over their products and tell me what you would like to try. Leave me your name and an email address and if random.org chooses you, I will contact you with information on how to redeem your gift certificate! This contest will end at 11:59 PM on September 21st. Thanks again to ecostore USA for this opportunity! I would love to try the hypoallergenic Shampoo for our pets, and the Pure Oxygen Whitener for our household. Thanks so much for this generous giveaway! I'd try the citrus cleaner or the cream cleaner, and also the soaps look interesting, especially the vanilla, lemongrass, or honey/kelp soaps.